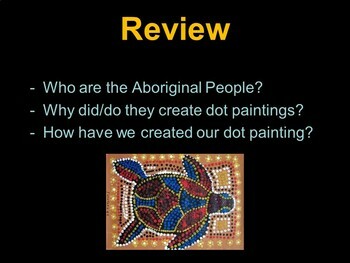 This PowerPoint presentation teaches students about aboriginal dot painting and the stories that go along with them. 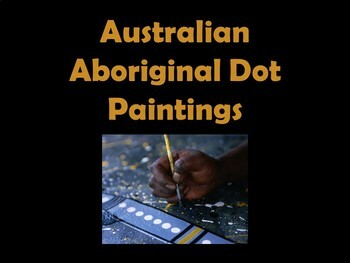 Students are asked to create artwork in that style. 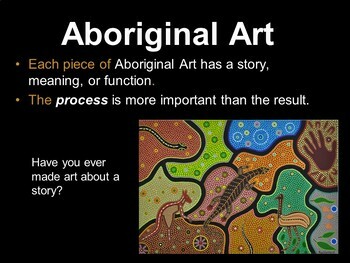 This was adapted from another teacher's lesson. 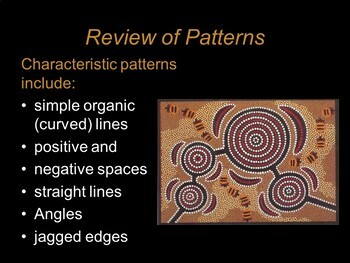 Adapt it to your own students' needs!